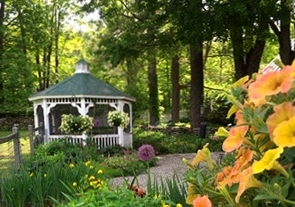 Dr. Boerner now offers treatments with Botox® Cosmetic and Xeomin at her Reading, Vermont home. Botox and Xeomin work in exactly the same way and give exactly the same effect. Xeomin is a cleaner version of the muscle relaxing chemical and has fewer proteins in it than Botox. The big difference is that Botox arrives frozen and must be rushed into the freezer, while Xeomin simply arrives and does not even need to be refrigerated until it is opened and used. platysmal banding (neck wrinkles and sagging). Botox and Xeomin are trade names for Botulinum . Treatment sessions last about 15 minutes and involve several tiny injections of Botox or Xeomin. A single session of Botulinum keeps muscles relaxed and brows smooth for up to four months, at which point treatment should be repeated. By regularly repeating your muscle relaxing treatments, in time the interval between session may be lengthened. Botox and Xeomin have been tested extensively and are approved by the FDA for certain facial wrinkles. Facial wrinkles are caused by everyday muscle activity. As we grow older, our skin loses its elasticity (tightness). The collagen under our skin becomes thinner which causes lines or wrinkles where the skin creases from muscle activity. Botox® Cosmetic and Xeomin prevent the nerves from telling the muscles to contract thus erasing the lines they cause. A muscle relaxing treatment is fast, simple, and minimally invasive, with no downtime or recovery necessary. Within days, patients feel they look more relaxed and younger in a natural way. What Exactly is Botox® Cosmetic and Xeomin? Both of these products are botulinum, a highly refined form of a naturally-occurring protein. When injected with tiny needles, this protein relaxes muscles such as those that cause frown lines and crow’s feet. Botox or Xeomin treatment in my hands result in a reduction of facial lines but your face will remain expressive. You will see the results in 48-72 hours after the Botox or Xeomin treatment. Botox® Cosmetic or Xeomin treatments are fast, easy and require no surgery. Botox ® Cosmetic or Xeomin treatments will smooth the persistent lines on your face for at least 3 months. Are Botox ® Cosmetic and Xeomin Treatments Safe? For over 30 years, physicians all over the world have been treating a variety of conditions such as migraine, TMJ, spasticity of cerebral palsy and blepharospasm using Botulinum. It is very safe and any result that you do not like will be minor and resolve itself naturally in 3-4 months as the Botulinum wears off. Our Vermont practice is happy and proud to be able to provide Botox ® Cosmetic and Xeomin treatments to you. Botulinum has been approved by the FDA for the treatment of frown lines and crows feet in patients between the ages of 18 and 65. Botulinum treatments have been administered in Europe and the USA for over 30 years. What Happens in a Botox® Cosmetic and Xeomin Treatment Session? When you have Botox or Xeomin treatment Dr. Carol Boerner will first ask you about what aspect of your face you want to improve. In partnership, we will plan how to make these improvements. If you need muscle relaxation then, using strategically placed tiny needles, Dr. Boerner will place Botox® Cosmetic or Xeomin in the muscles to smooth out the lines. The treatment itself takes about 10 minutes and is not painful. You may request an anesthetic cream if you are particularly needle phobic. What kind of results can I expect from Botox® Cosmetic and Xeomin Treatments? Botulinum treatments can make you appear refreshed and alert by relaxing the overactive muscles that cause frown lines. Studies have shown that when your frown lines have been softened that people view you as a happier person. One study showed that using botulinum to make the face look happier was just as effective as taking Prozac to make the patient feel happier! After a treatment session of Botox or Xeomin with Dr. Carol Boerner within days you will look and feel refreshed….and happier. You may have additional questions about Botox and we invite you to visit our FAQ page on Botox/Xeomin to learn more.